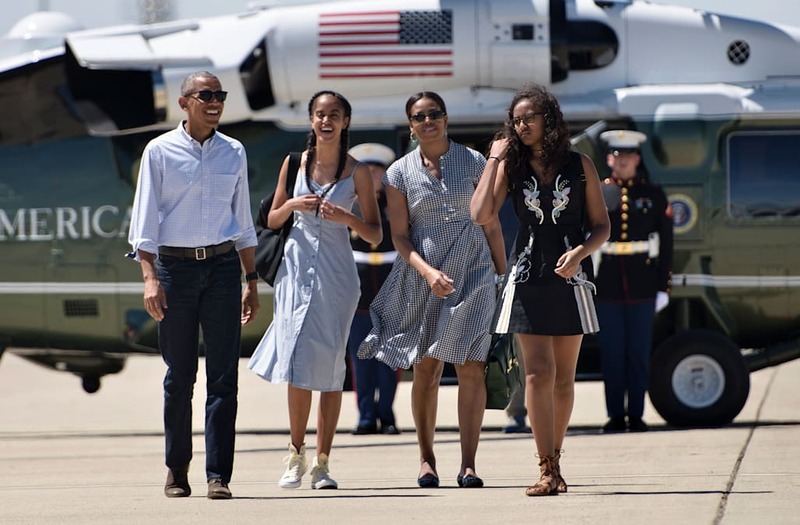 President Barack Obama waxed poetic about his daughters, Sasha and Malia, during his final news conference as president of the United States, revealing his teenage girls were "disappointed" by Donald Trump's election but they don't "mope" about it. "They don't mope, and what really makes me proudest about them is that they also don't get cynical about it," Obama said Wednesday. "They have not assumed that because their side didn't win, or because some of the values that they care about don't seem like they were vindicated, that automatically America has somehow rejected them or rejected their values. I don't think they feel that way." Obama to America; Don't mope. Obama's comments on his daughters' reaction to Trump's victory felt almost like a pep talk for his fellow Democrats, many of whom are boycotting Trump's election. He said that he's taught his daughters that "the only thing that's the end of the world is the end of the world," adding that they are resilient. He also ended his final news conference with a message of hope. "In my core, I think we're going to be okay," Obama said. "We just have to fight for it." Obama has 2 days to free Native American activist Leonard Peltier. Here's why his case matters. President Obama on Chelsea Manning clemency: "Justice has been served"